15 months later, the Clemence family still didn’t have an answer. Doctors assured Kelly and Jeff that whatever Lizzy had, they had no reason to believe it would affect their second child. While continuing to search for Lizzy’s diagnosis, the Clemence’s were thrilled to find out they were pregnant again. When Mason was born at almost the exact same weight as his sister… that was the moment that Jeff and Kelly knew that something was very wrong. 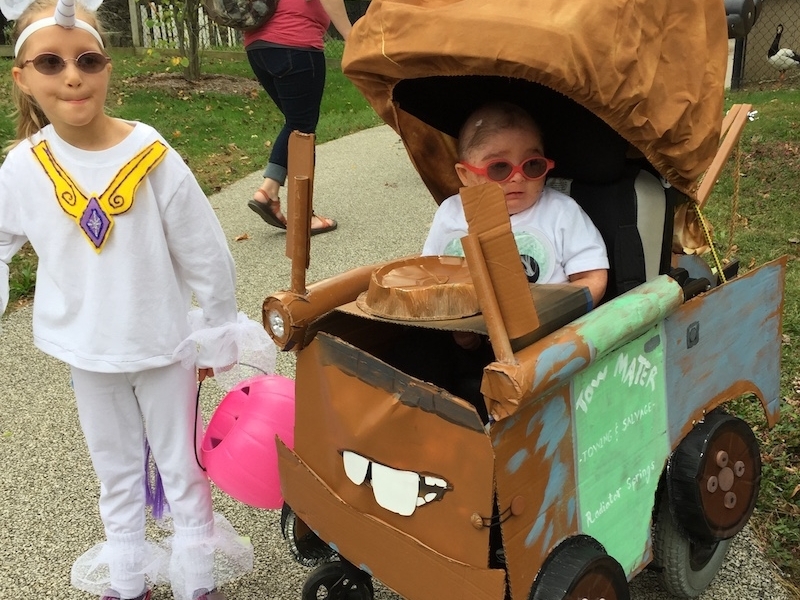 Both children were diagnosed with Ligase IV Deficiency, a serious disease that can only be found in 14 other people in the world. For this rare immunodeficiency, there is only one known treatment: a bone marrow transplant. Essentially, Lizzy and Mason’s immune systems are not sufficient. They were not born with all the tools they need to survive. A bone marrow transplant wipes their current immune systems and replaces them with healthy, donor cells. Extremely invasive, painful, and associated with a high mortality rate, bone marrow transplants are used as a last resort effort in most cases. For Lizzy and Mason, it’s their only option. 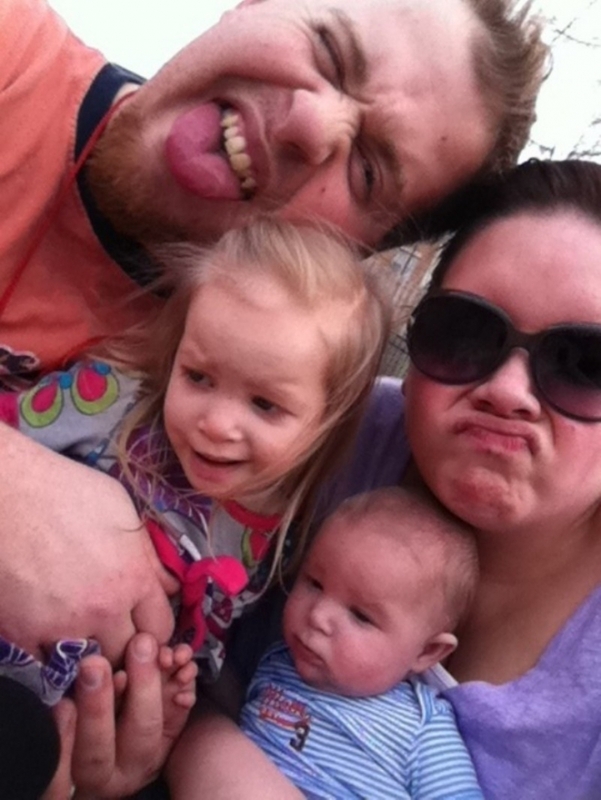 The medical bills and treatment costs quickly became overwhelming for the Clemence family. 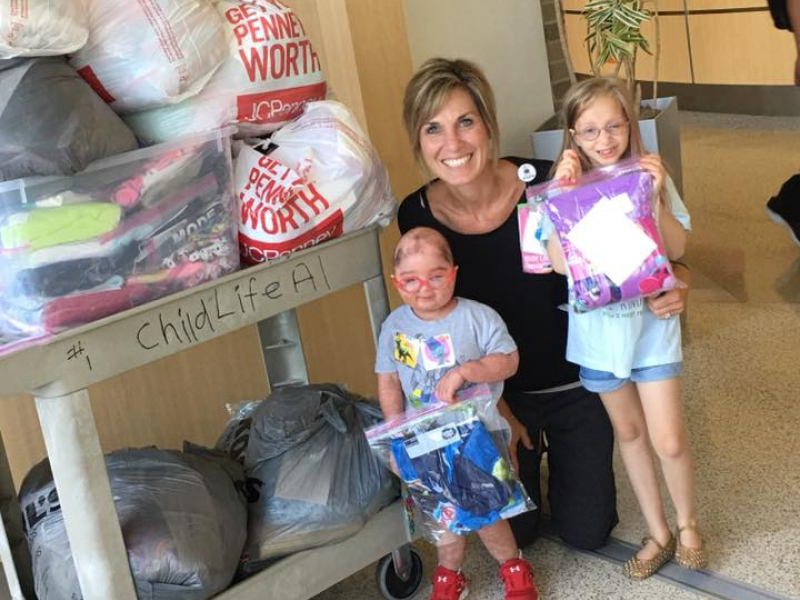 Mom Kelly keeps their world spinning on axis, aligning medical appointments, g-tube feedings, and often living alone for weeks on end with one or both of the children while they receive treatment. Jeff keeps his family financially afloat by commuting back and forth from the hospital in Cincinatti to work in Illinois. It is on these long, quiet hours on the road that he has time to think. He needed some help. His wife needed some help. Most of all, his kids, who have never not had to fight to stay alive in their short existence, needed some help. For them, for his family, the most pressing need was transportation. A safe way for his family – the most important and precious people in the world to him – to travel the 6-hour trip to get the treatment his children depended upon. For a father, knowing your family is protected even when you’re not there is not a luxury, it is a necessity. He needed peace of mind, and his family needed a van. There was just one problem. He had no idea where to turn to get help. Enough of this. He needed to clear his head. He focused his attention back on his job. It was a good job. It kept a roof over his children’s heads, food on the table, and just enough money to cover expenses. Plus, he really liked it. He enjoyed being a part of the beer industry, distributing all over the state. 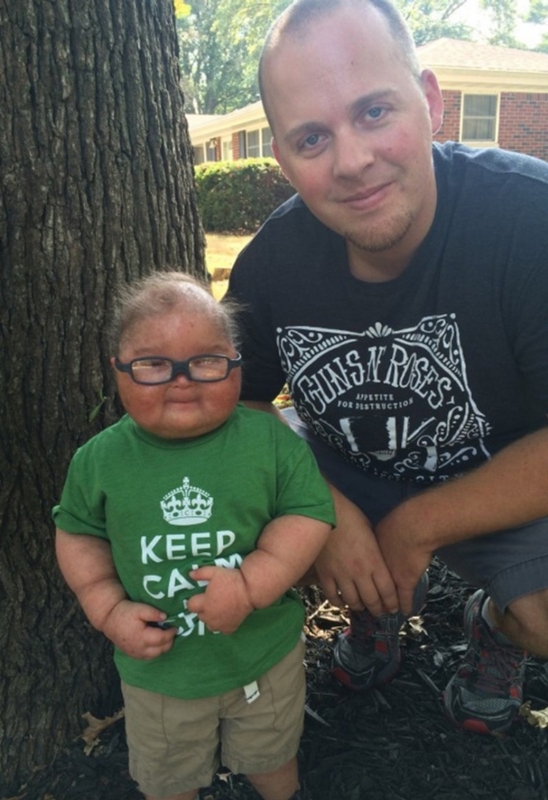 He pulled a case and recognized the name: KCCO Black Lager. He had heard this before. 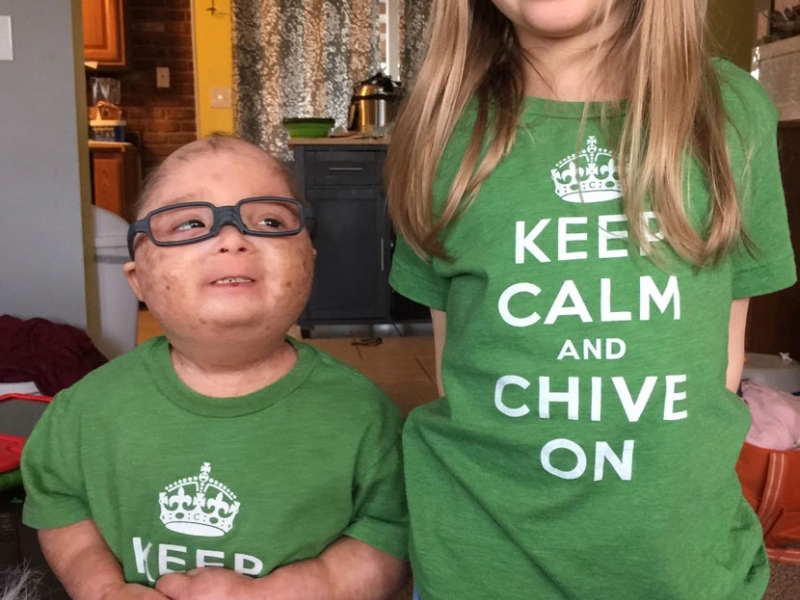 KCCO. Jeff and his son Mason. Mason is currently on steroid shots and one of the side effects is swelling. While Jeff and Kelly do everything in their power to support their two children, Mason and Lizzy do everything in their power to continue to fight. No matter what, they’ve got each other. 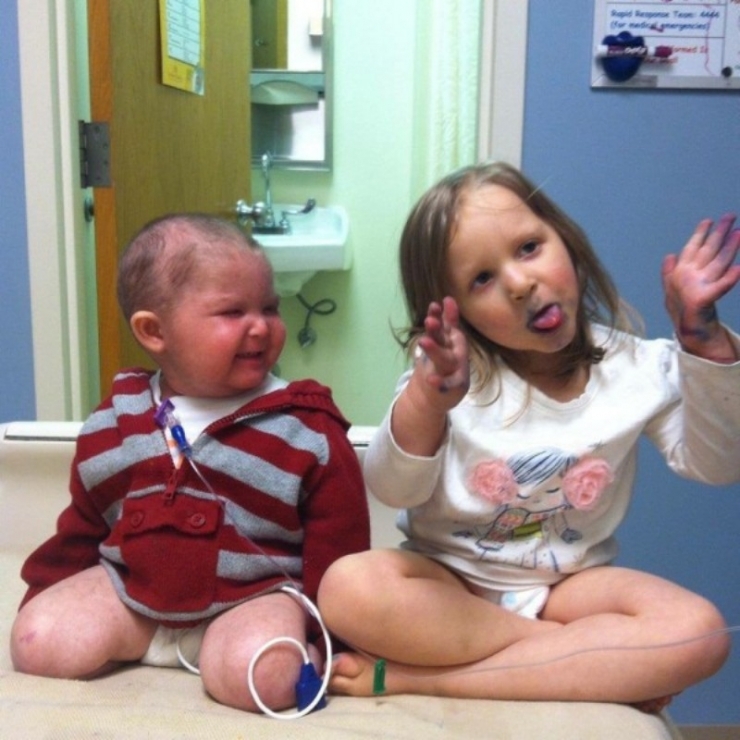 Here Lizzy entertains her brother in the hospital. What typically should be a scary experience, these siblings can make light-hearted and funny. Lizzy, right, and Mason, left, look much different now than they did here, a couple years ago. 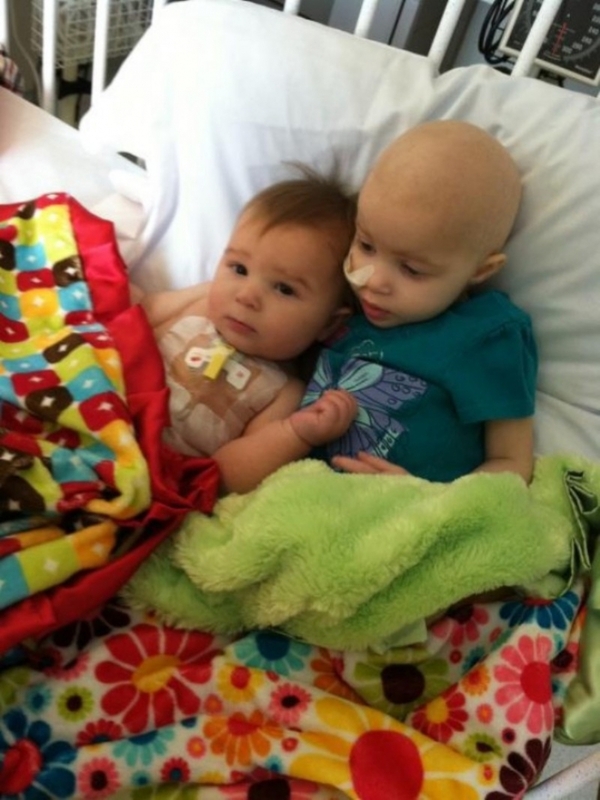 In this photo, Lizzy was undergoing her bone marrow transplant. Her body received the transplant well, and she’s doing much better. Mason has not been so lucky. But, there are clinical trials and new medications that the family is focusing on. And the only thing standing between them and Cincinatti, where treatment is, is a vehicle. 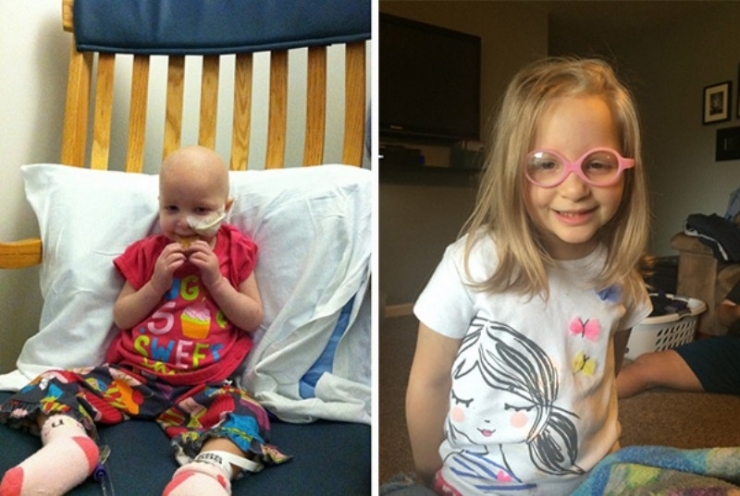 Lizzy before transplant, left, and post-transplant, right. 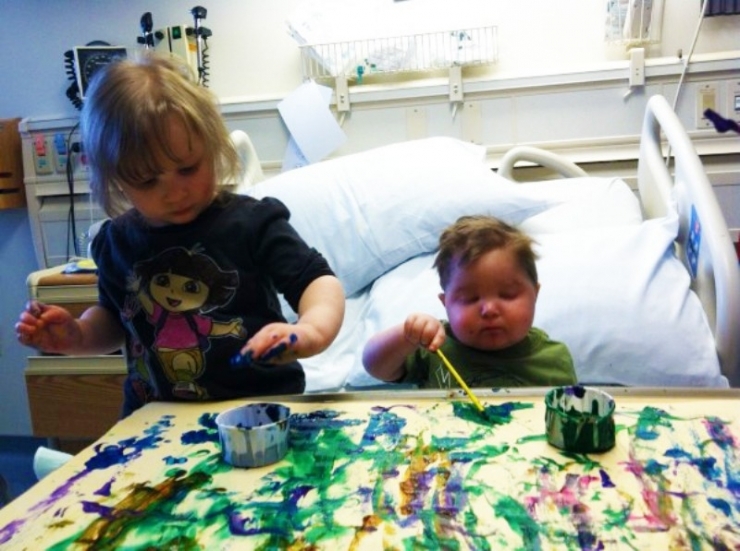 Because of the long hours, sometimes days, sometimes weeks – that these two spend in the hospital with mom Kelly… they had to get creative. Literally. The Clemence family has every reason to focus on the negative, to allow their circumstances to make them anxious and sad. They don’t. They choose to focus on what matters. Their children, each other, and finding humor in the darkest of places. That’s what theCHIVE does, too. If there is an opportunity to laugh, we’re going to take it. Because there are plenty of opportunities to succumb to the stressors of everyday life. But not here. Here, we make the best out of what we’ve got. 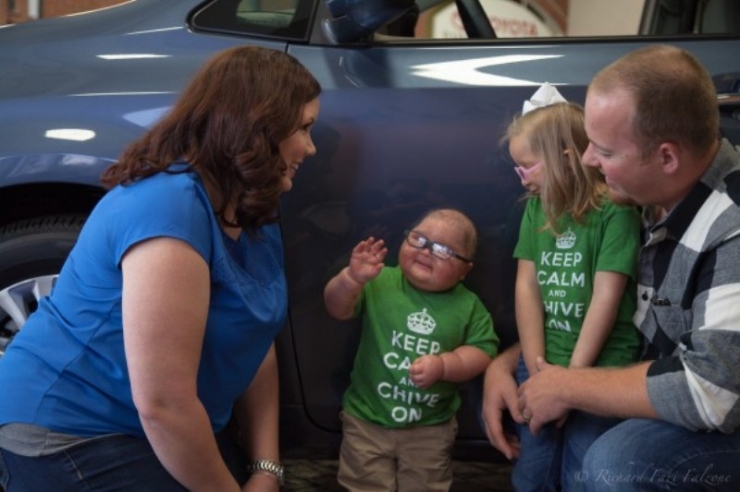 When The Chive Illinois heard that Chive Charities was giving the Clemence family a van in their own backyard… there was no way they were going to miss it. Merf, left, and Kristin, right, with the Clemence family. 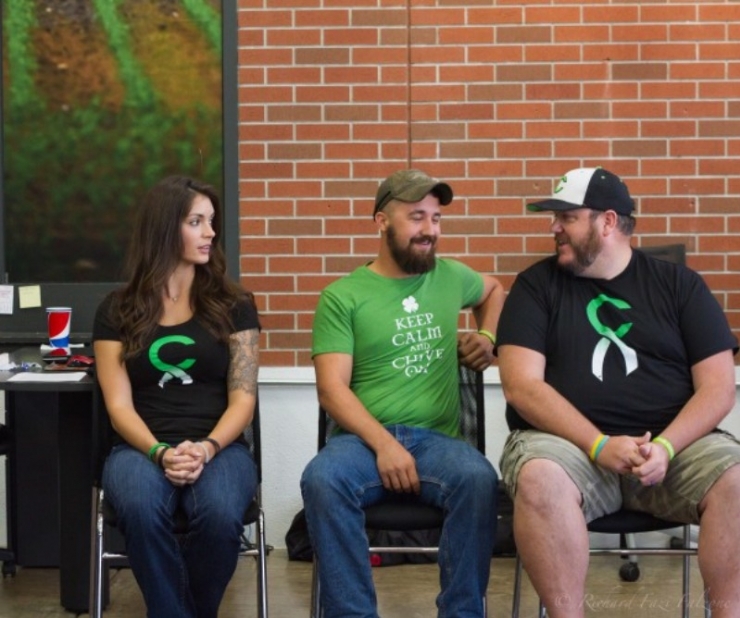 The Chive Illinois Chivers take care of their own. 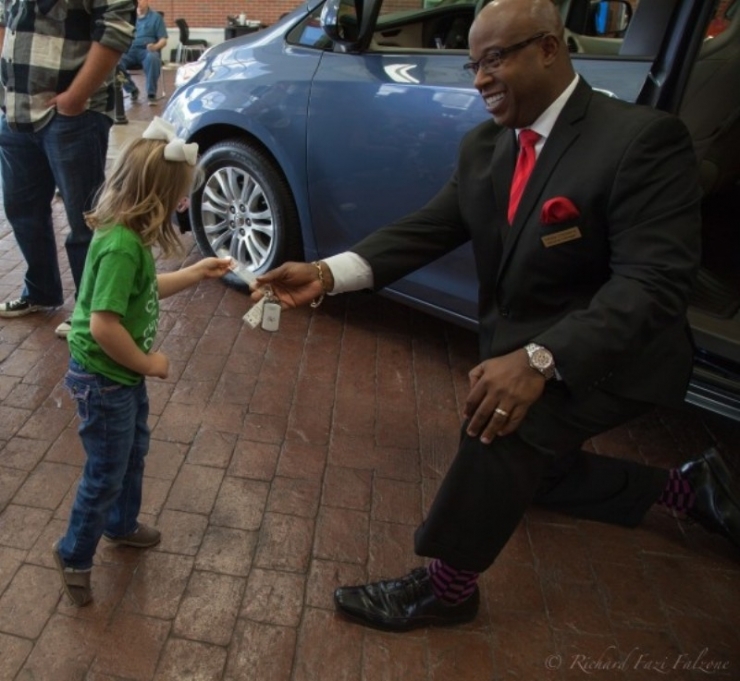 Lizzy getting the keys to her 2015 Toyota Sienna. Don’t drive too fast, Lizzy! 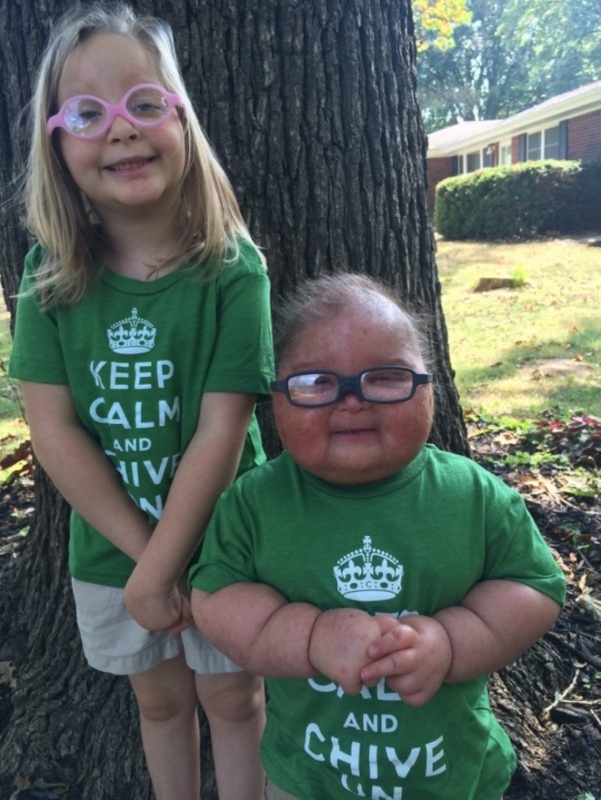 With a $35,000 grant Chive Charities forever changed the Clemence’s life. They now have reliable transportation to take them from the hospital in Cincinatti to home in Illinois – safely. Because when you have cargo this precious, safety is paramount. Jeff knew he had heard that before. He brought a six-pack of KCCO Black Lager home to his wife, excited to try it. That night they cracked a couple beers and huddled around the computer to explore theCHIVE. It was then that they found Chive Charities. The chain of events that led him to this moment was not coincidence. 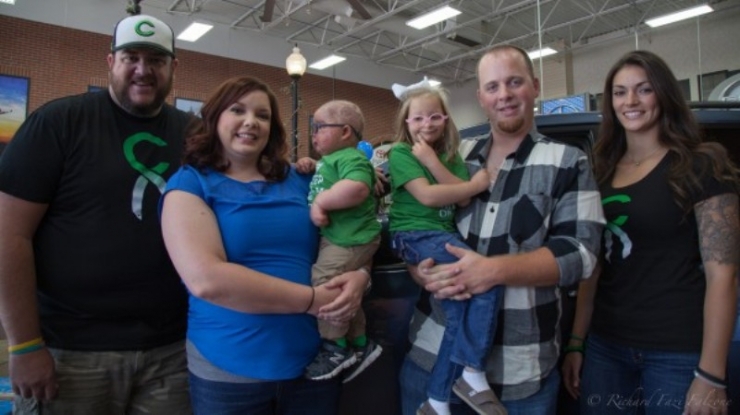 His family was meant to find us, to meet Chivers and be welcomed with open arms into this community, and to finally receive some much-needed help. More than that, they were meant to receive a reminder that somewhere in the world, a huge group of people they’ve never met would do anything in their power to make their lives a little easier. Keep Calm, Chive On, Clemence Family. We’ve got your back.